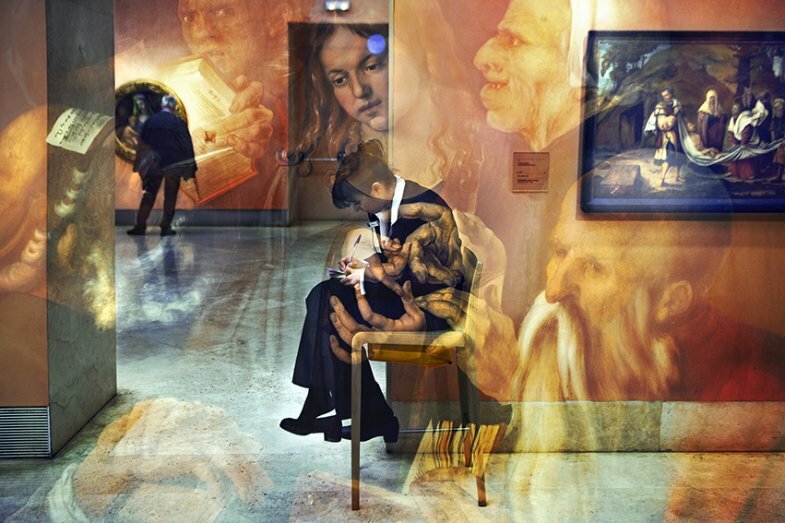 Multiple exposures shot inside a museum by photographer Andres Wertheim. 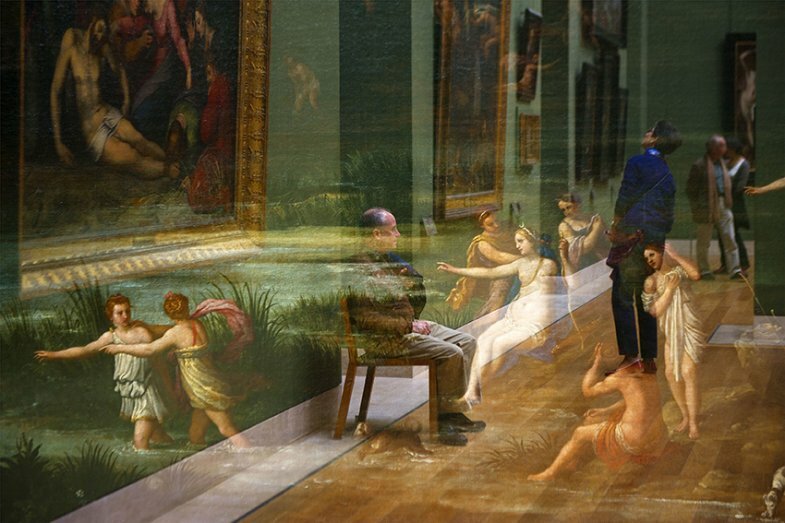 He takes photographs of the people as they carefully observe the paintings and sculptures and merges the artwork to make it look like the characters in the paintings are interacting with them, in a ghostly manner. 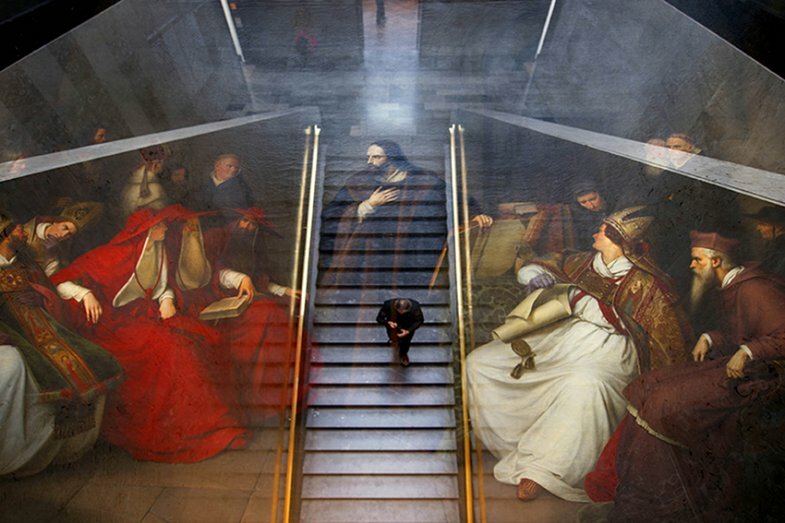 The result is an image where past and present intertwine to create an interesting dialogue. 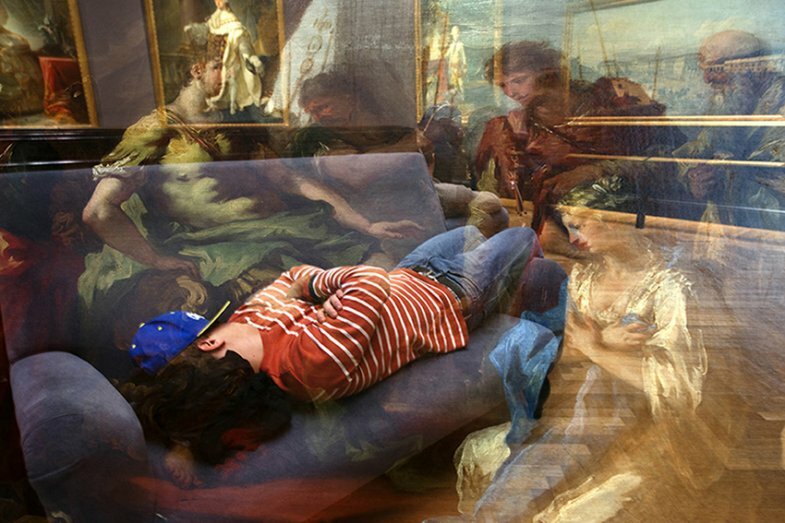 In this series I propose to reflect on how we experience art today. 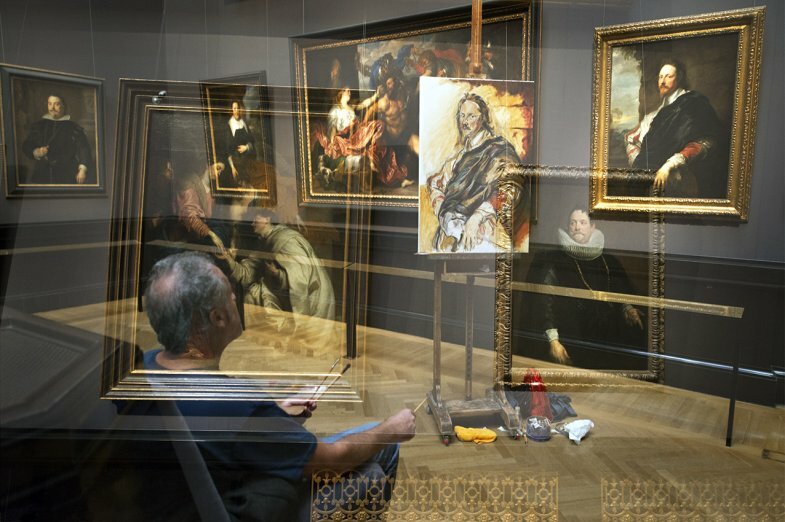 For this, I photograph the audience and the characters portrayed in the paintings of various museums. Through multiple exposures made in camera I merge both planes of the visible reality in the same frame, trying to create a dialogue between the subjects. The result of my work is conditioned partly by chance, which might provide interesting situations. 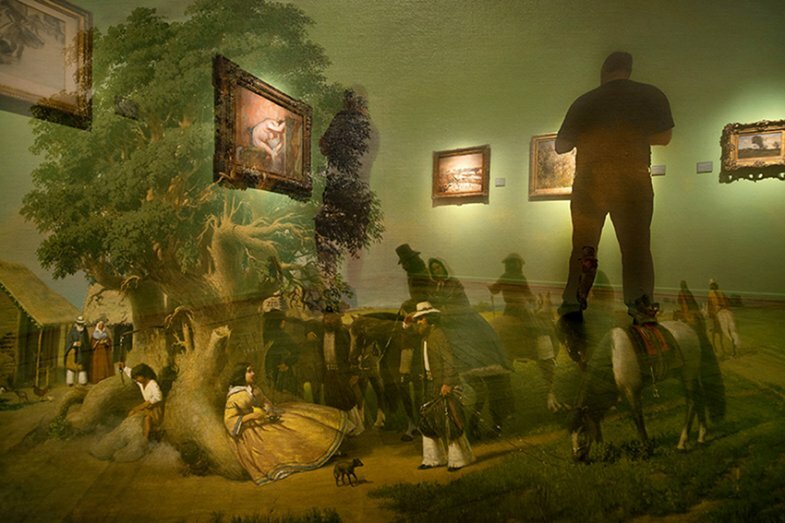 Then, in an attempt to amalgamate the first shot with a scene to be found among the artworks in the same room, the uncertainty of the outcome unfolds. 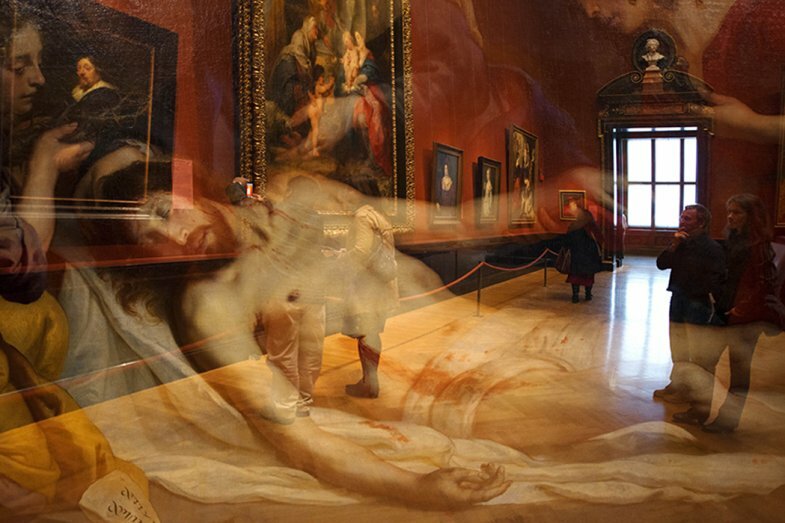 This is why when the fusion works, I feel that the "spirits" of the museum finally allowed me to see them. 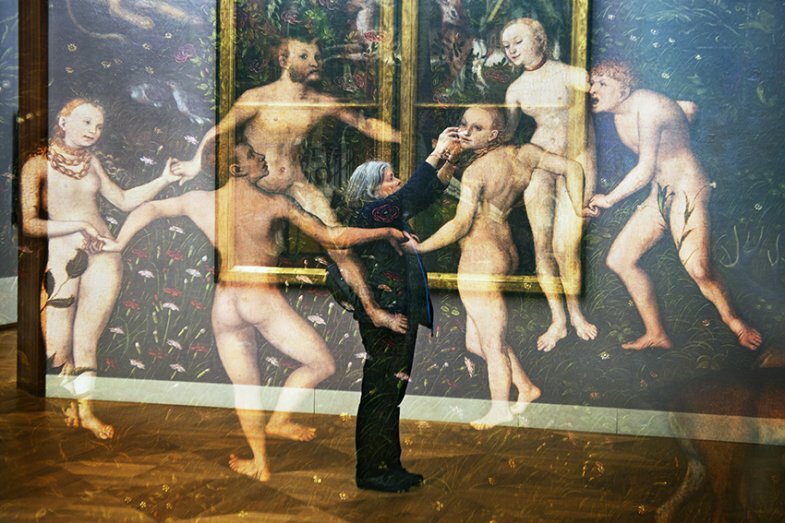 Sometimes the painted figures appear sharper than their living fellows and other times the opposite happens, causing a rivalry between two media of the visual arts: painting and photography. 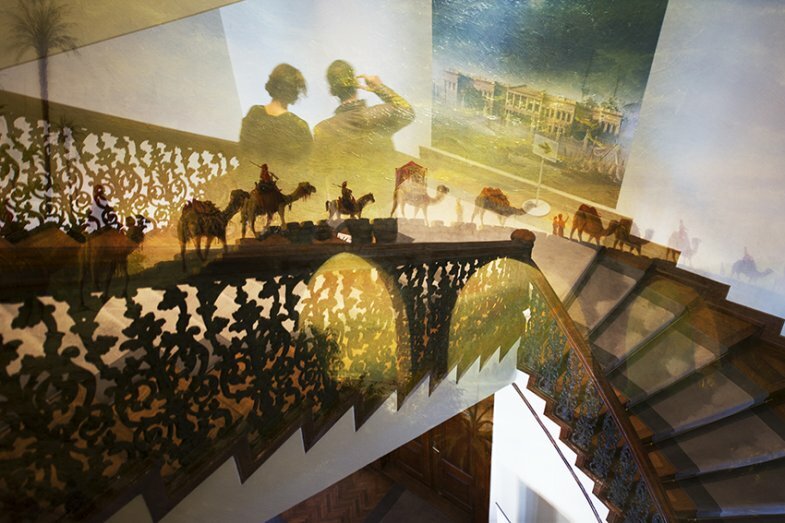 Through these unexpected stories I want to take viewers on a journey of fantasy, a dreamlike dimension where past and present intertwine and at the same time, invite them to rethink their own relationship with museums as cultural institutions and as spaces for distraction.